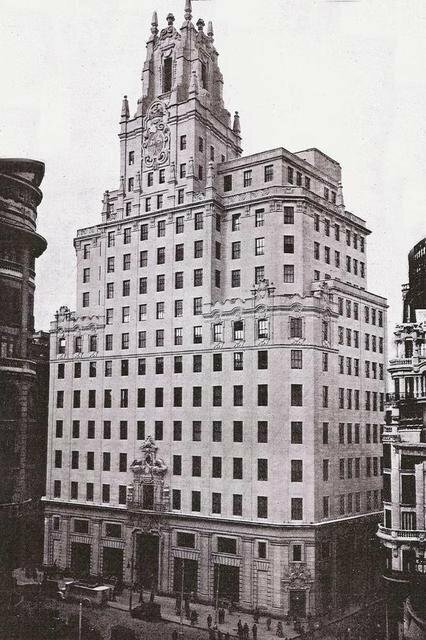 Completed in 1929, this building is the first skyscraper constructed in Spain and was the highest in Europe at the time it was built, with its 89 meters and its 14 stories. 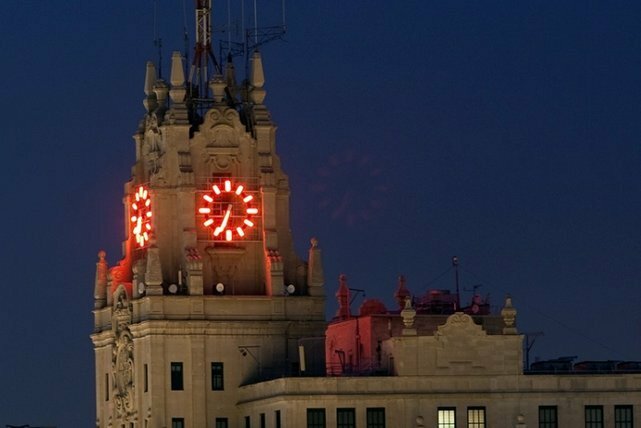 Its asymmetric shape and its neon-lit clock give it a singular appearance and make it a landmark in the very busy Gran Via, which is one of the city's main arteries. It is currently housing the Telefónica company, the Telefonica Flagship Store9, a telecommunications museum and an auditorium. In the early 30s, this building symbolized Spain's openness to progress and to the world of communications because it was the headquarters of the national telecommunications company. It was built between 1925 and 1928 by the architect Ignacio Cardenas, based on a project of the American Lewis S. Weeks, designer of the ITT telecommunications building in New York. In October 1928, before the end of the work, King Alfonso XIII inaugurated the opening of the Madrid-Washington telephone line calling the President Calvin Coolidge. He did the same one month lather with the General Gerardo Machado, from Cuba. Its official opening took place in 1930. During the Civil War, it was used as an military observatory and headquarters of the republican army's telecommunications, the reason why it was often targeted. 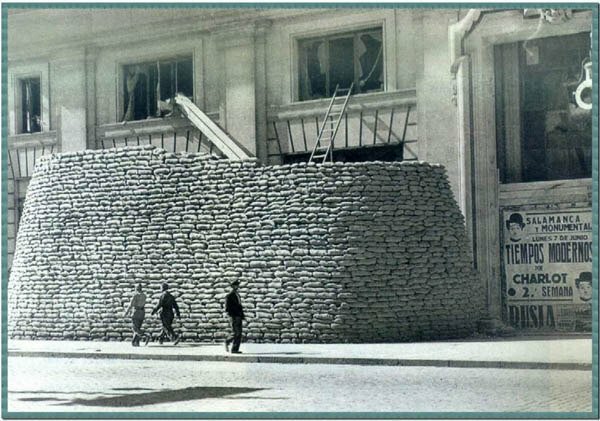 A part of its basement was also used as a air-raid shelter. It was also the headquarters of the Foreign Press Office: Ernest Hemingway, John Dos Passos and many foreign war correspondents settled there to send their accounts. An important fire in the basement of this building destroyed in 1970 a considerable amount of the archived stocked there. In 1983, the movie director Woody Allen showed the building in a scene of his movie "Zelig".